The #1 international bestseller from Jussi Adler-Olsen, author of The Absent One. Carl Morck used to be one of Copenhagen’s best homicide detectives. Then a hail of bullets destroyed the lives of two fellow cops, and Carl—who didn’t draw his weapon—blames himself. So a promotion is the last thing he expects. But Department Q is a department of one, and Carl’s got only a stack of Copenhagen’s coldest cases for company. His colleagues snicker, but Carl may have the last laugh, because one file keeps nagging at him: a liberal politician vanished five years earlier and is presumed dead. But she isn’t dead … yet. If you get on Amazon site you can also download Sudoku Samurai for free. This app for your Android can be customized for as challenging as you wish. Play 10,000 unique sudoku puzzles on Classic 9×9 and Samurai (Gattai-5) boards. Choose from four different skill levels. For advanced puzzle solving, try Samurai (Gattai-5) puzzles to challenge your sudoku solving skills. Tired of staring at traditional numbers and plain backgrounds? Then select from 14 different background sets and choice of digit styles (including Kanji). Lose yourself in hours of satisfying sudoku puzzle solving. 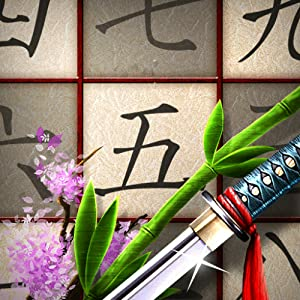 Sudoku Samurai is a handcrafted masterpiece by the sudoku lovers at Sungift Games. 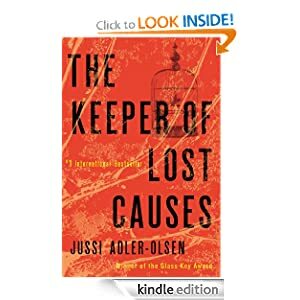 This entry was posted in Kindle Applications, Kindle Apps, Kindle Books, Kindle Daily Deal and tagged Jussi Adler-Olsen, Sudoku Samurai, The Keeper of Lost Causes: A Department Q Novel by Paul. Bookmark the permalink.